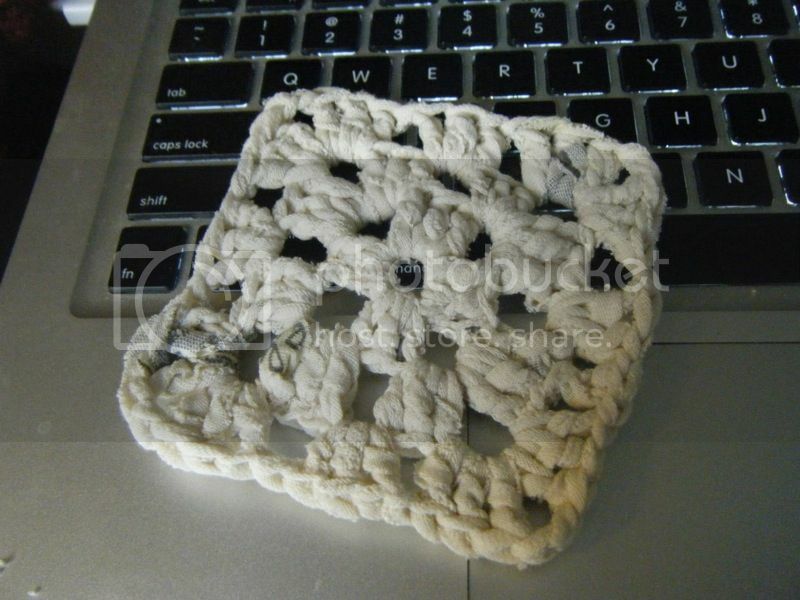 The first dishcloth is just a simple square knit in seed stitch, the second one is a diagonally knit Grandmother's Favourite Dishcloth with seed stitch instead of garter stitch, and the coaster is just a little granny square. The verdict? 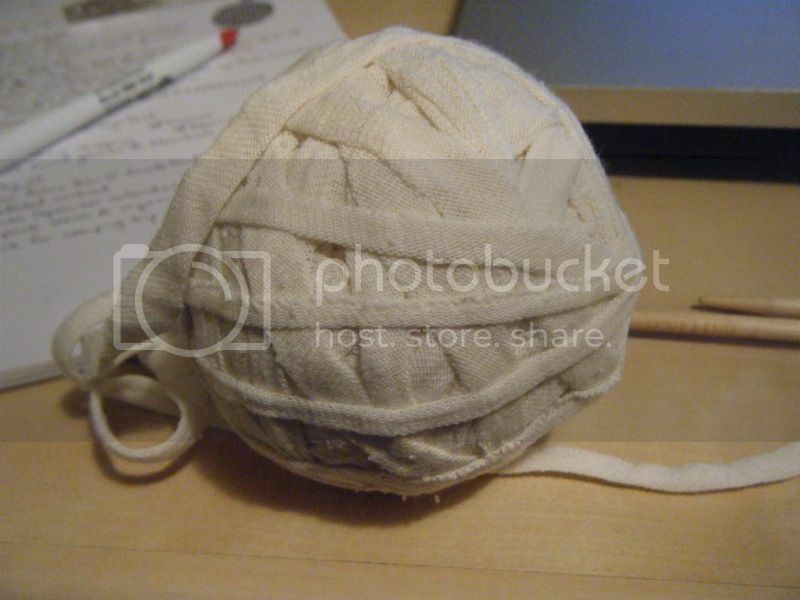 Knitting with t-shirt yarn is fairly easy. 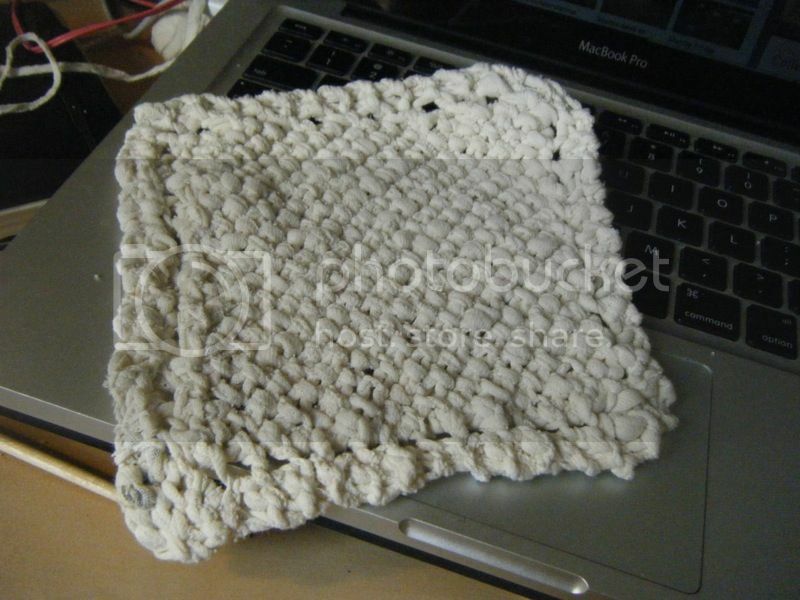 It has the same stretch as a wool yarn and is pretty soft. My only complaint is that it sheds a lot. My desk ended up with little fluff grains all over it. 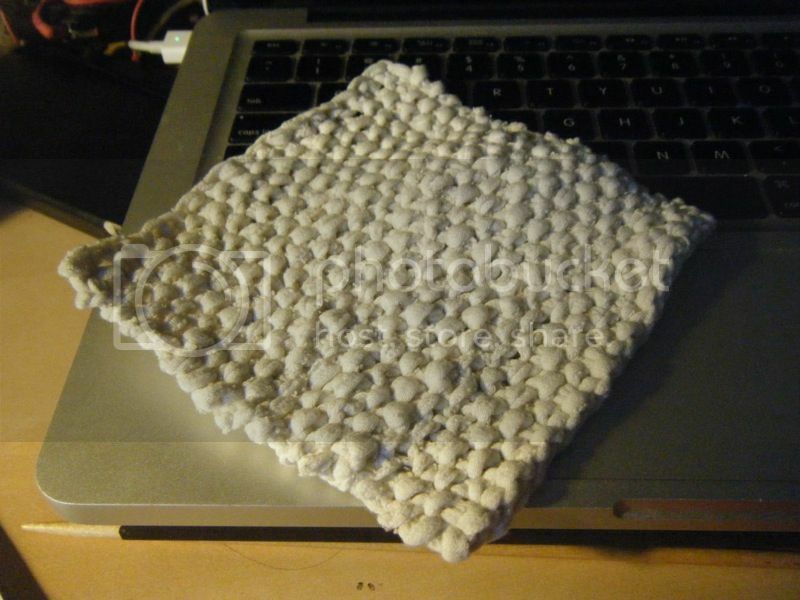 As for the finished product, so far the dishcloth I'm using to wash the dishes every day is holding up very well. The fabric is very sturdy. So if you have some old t-shirts lying around that you don't wear any more, I'd highly recommend this as a way to re-purpose them!